today I went to the movies and while watching the trailers an advertisement/trailer aired about the Crossfire Series....I was so excited....but no mention of OWY.... the main theme was Captivated by You....especially Gideon Cross. Showed a man taking off his cuff links, watch, then his shirt!!! Does anyone remember in RIY when Gideon fought Nathan but Eva thought he was "with" Corrine? Why was Corrine there and looking like that? Sorry if this is a throwback. I was re-reading to take a break and got to that part and it hit me that I don't remember the answer. Corinne was there to see Gideon but I believe he refused to see her; he did have a lunch appointment which he never attended due to Nathan showing up that day. Corinne was surely disappointed and of course when she saw Eva she took advantage of the situation. Another question/answer from Good Reads (there's no date on any of the questions so apologies if people have already seen these - I find Good Reads difficult to navigate, particularly the q&a section where there is no 'newest/oldest' filter. question - I've read about your new Blacklist Series and wondered when the first book will come out? answer Sylvia Day At this time, it's expected that both One With You (Crossfire #5) and So Close (Blacklist #1) will release in 2015, in that order. There was also a question re release dates for the last two Crossfire books which was definitely asked before CBY was released. answer To be honest, it would be impossible to release two Crossfire books at the same time or even within weeks of each other, for various production, distribution, and marketing reasons. I'd say four to six months is the closest two Crossfire novels could be to one another. It's obviously not going to be four months, but there's still a chance for six months if Penguin have made the decision to announce the release during February (assuming they wish to ride on the back of the release of FSOG and who could blame them for doing that) and for release to be May/June. 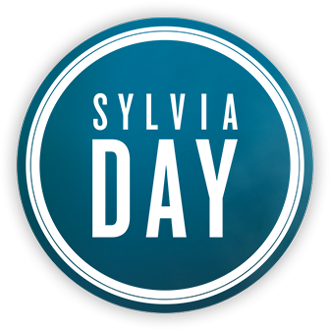 I understand Good Reads did have July down as the date but that's been removed - in the past some web sites had put dates for CBY - on Facebook when this was mentioned it seemed some sites have to put a date in to put details live so they dates were never accurate (and it has been made clear that the only date we should believe is one announced by Sylvia and Penguin). Sylvia just posted on twitter and facebook that there is an excerpt from One With You on her web site BUT no-one has yet been able to find it. I'll post a link as soon as the page appears. The receptionist is drawn to our attention again, subtly. I get that heads are turning to follow Eva because they all know that Corrine is in the office with Gideon , but that red headed receptionist looks at her with distaste - is she something to do with Hugh and if so how did her background check not find that out? Gideon does say he was not expecting to see Corrine, but assuming she didn't force her way in to his office, surely he's reached the stage of being able to tell her to f*ck off if she turns up unexpectedly? He really has no obligation to see her as he knows he can't stop the book being published so what is the point of being nice to her by allowing her into his space? I think this scene takes place Friday, after they have had their meeting with Dr. P and perhaps dinner liked they planned at the end of CBY. Maybe Corrine was making a scene in the lobby and to make it stop Gideon relented and let her see him. To go over the "good times" that they had by going down picture/memeory lane? Glad that he let Eva in so that she could have seen them together. Interesting that Eva quit her job.....wonder what she will do now? Plan a wedding...GREAT!!!! As for the tell all book of Corrine's....maybe her publisher is like Penquin (real slow) and that they will take at least 6 months to a year to get the book out....that gives Gideon plenty of time to buy it and put a stop to letting that book out!!! Sylvia this was a nice Valentine's Day treat Thanks!! DON'T READ IF YOU HAVEN'T READ THE EXCERPT:I think this scene takes place Friday, after they have had their meeting with Dr. P and perhaps dinner liked they planned at the end of CBY. Maybe Corrine was making a scene in the lobby and to make it stop Gideon relented and let her see him. To go over the "good times" that they had by going down picture/memeory lane? Glad that he let Eva in so that she could have seen them together.Interesting that Eva quit her job.....wonder what she will do now? Plan a wedding...GREAT!!! !As for the tell all book of Corrine's....maybe her publisher is like Penquin (real slow) and that they will take at least 6 months to a year to get the book out....that gives Gideon plenty of time to buy it and put a stop to letting that book out!! !Sylvia this was a nice Valentine's Day treat Thanks!! I have to say I was really surprised by the excerpt that Gideon is still giving Corinne the time of day. It angers me so I can just imagine how Eva feels. And if Corinne was making some sort of scene then Gideon just gave into her tantrums like a small child. I hope Eva will set Corinne straight in the next book...somebody needs to take the lead there. Gideon was supposedly devastated the last week apart from Eva but has the patience to deal with Corinne? Well all I have to say is that I started out the last book being irritated at Eva and in this book it looks like I'm irritated at Gideon!! And that is a good question... What will Eva do? I am truly very sorry for Eva that she had to give up her job that she clearly loved . I hope Gideon realizes what a sacrifice that was for her and makes it right somehow because Eva can never be happy just being Gideon's wife. She needs something of her own "maybe not an empire but a reputation for sure"..I hope she gets it. I think Eva needs to go visit Victor and get his take on everything. He always has alot of common sense advice for her... What do you all think?? I was furious when Eva approached his office and found the glass frosted. then to have Scott announce her to Gideon...only to find him with Corrine!!!! They seemed cozy to me..him on edge of desk her leaning into him while he actually held and looked at a pictureÂ of them together!!! Why is the glass frosted?? I think Eva should have listened to Gideon and announced to the world they are married back a weeks ago then Corrine may have pulled in her claws. I think the redheaded receptionist has been the person getting Corrine into Gideon's office. The excerpt solves (I hope) a mystery that's been bugging me since Captivated, which is how did Corrine get into the reception area of Gideon's office in the Crossfire soon after she got out of the hospital? In RIY, Corrine showed up unannounced at the Crossfire at lunchtime the day after the fundraiser at the Waldorf. She never made it past security in the main building lobby, and Gideon hadn't known she had even been on the premises until Eva barged into his office. Toward the end of RIY, Eva sees Gideon leave the Crossfire with Corrine just after work. We're led to assume Corrine been up in his office, but now I'm thinking she was lurking in the lobby and ambushed him when he was leaving the building. To avoid causing a scene, he took her out to his waiting car. So how did she get as far as his inner office lobby early in CBY? Someone had to authorize her getting past lobby security and getting past the elevator lobby on Gideon's floor. Who controls that inner lobby door? The redhead. Who probably is someone building security calls up to regularly to alert them that business visitors expected on Gideon's floor have arrived in the building and are on their way up. so in reverse, the redhead would be someone authorized to call down to security to say someone (here, Corrine) is due to arrive soon and "is expected." 2. She's just a bee-yotch bitter that she got nowhere with Gideon, resents Eva to the point of despising her, and so is enjoying causing trouble by letting Corrine onto the floor. Maybe she's not taking seriously enough the fact Gideon and Eva are "engaged." Figures that Gideon supposedly dumped Eva for Corrine, then dumped Corrine for Eva -- and so the redhead figures neither woman is "safe" and both are "fair game" to eph with. The more I "obsess" over this...lol... I can't understand why Corinne is even permitted on the Cross Industries floor...Correct me if I'm wrong but Gideon and Corinne did not part as friends at Tableau One when they met there... Why is it that she is standing so close to him looking at the photos... I don't know why he looked at them in the first place and also Gideon would have to know it was the end of the work day and Eva may be coming to see him. I hope Gideon is not reverting to his "cluelessness" concerning Corinne. In the back of my mind I'm hoping that Gideon has a devious plan of his own in mind for Corinne and he is stringing her along with patience and civility before he lets her have it... What do you all think?? That being said; I am still mad at Gideon for giving Corinne a moment of his attention. I give Eva an Academy Award for not giving Corinne some "Krav Maga " right there in the office lol!! Corinne is now at the top of my list of who should receive Krav Maga from Eva. I loved how Scott acted when Eva showed up. His eyes sparkled. Scott has never seen his boss happier than Gideon has been with Eva. And he's never seen the man more miserable than when he was each time Gideon and Eva were apart. Scott was very, very happy to see Eva show up. And Scott understands that Corrine means nothing anymore to Gideon. Im so glad Sylvia posted that excerpt because it is really sparking some good discussion; keep it coming ladies!! The excerpt states that Eva plans on having a word with Corrine. And Eva knows where Corrine lives. She's already gone there once and had a verbal catfight that she (Eva) won. Maybe this second time, we fans will get the physical cat fight we've been hoping for for quite some time now. Of course, I wouldn't put it past Corrine to press assault charges. But it would be sooooooo worth it. Scott is being a good secretary, he will know Corrine is an ex and that it would not be diplomatic to let Eva just go straight in without warning Gideon, whatever the reason Gideon let Corrine in to his office. In what we see he is making it clear to her he does not want to look at the photos (for all we know she hasn't been there long and he's only had that one photo in his hand - I hope). He would have made the glass frosted as he would have no idea what action she'd take and he wouldn't want the staff seeing anything untoward (he did the same with his mother in one of the other books). Gideon opened the door immediately which indicates he had nothing to hide from Eva. He's holding the photo but it doesn't say he is looking at it (looking at them is in Eva's thoughts but not in what we see of Gideon's actions), and he didn't try to hide the fact that Corrine was standing pretty close to him, he could have drawn away but he was honest and let Eva see exactly how close Corrine was to him. Eva even says that 'she wasn't a threat'. At least Corrine knows she is not wanted once Eva arrives, with Eva around Corrine knows she doesn't stand a chance of trying to get back into Gideon's good books (but he definitely needs to do something to get through to her that he is NOT, NOT, NOT interested in her any more.) Her comments to Gideon regarding him keeping the photos is probably just to goad Eva and make her think he was interested in looking at them. I did wonder if perhaps in his days with Corrine his anger/s*x issues were beginning hence her ability to soothe him; if they had a 'normal' relationship what did she need to soothe him for?